aeTechnology is a Baton Rouge website design and IT consulting company providing network management, network security, computer maintenance, server installation, web design, web development, web hosting, voice, data, and Internet services to Baton Rouge, LA businesses. Your technology is at the center of your business processes more than ever before. You don’t need to be reminded that network outages and security breaches can be devastating. You need a technology partner that can help your business get the most out of its network and keep it running smoothly 24 x 7 x 365.
aeTechnology is uniquely suited to help your business accomplish its goals. We provide high quality web design services and IT Consulting and sales for the Baton Rouge area. 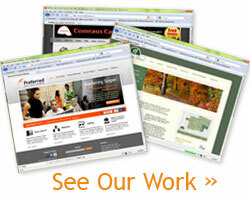 Our web designer, program developer, and computer consulting team is second to none. Let us handle the technology so that you can focus on your business.